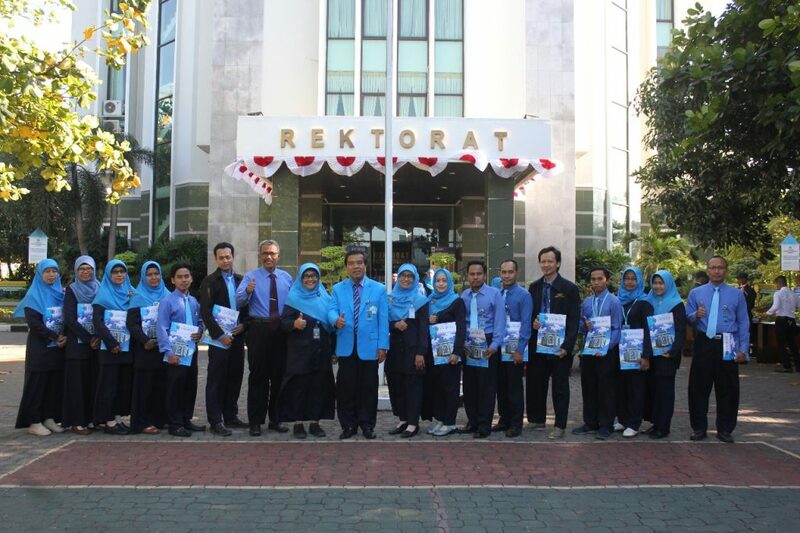 Semarang | (17/08/2018) Upon accomplishing the flag ceremony of Independence Day, at least sixteen lecturers of Unimus were announced to receive awards from Unimus for their achievement in acquiring Intellectual Property Rights (HKI). 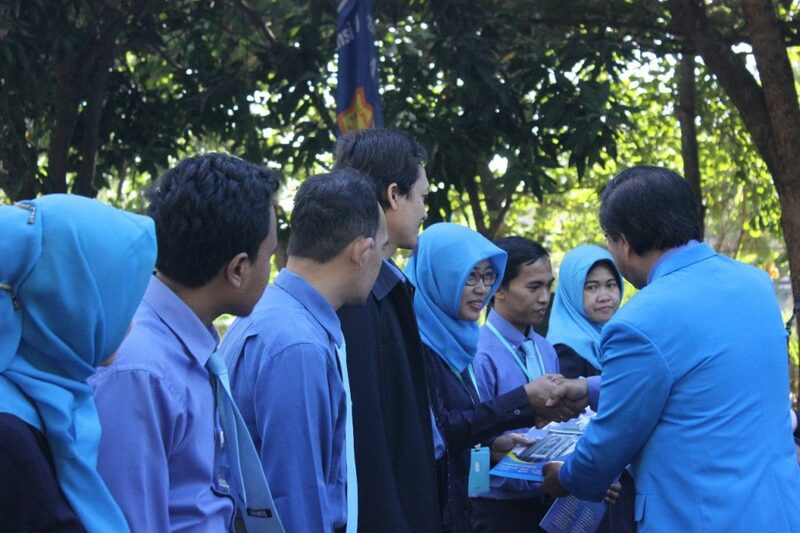 The awards of appreciation were distributed by the Rector of Unimus, Prof. Dr. Masrukhi, M.Pd, accompanied by Vice Rector I, Dr. Sri Darmawati, M.Si., Vice Rector II, Dr. Sri Rejeki, M.Kep., Sp.Mat. and Vice Rector III, Drs. 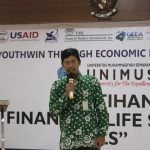 Samsudi Rahardjo, M.M., M.T. in the front hall of Rectorate Building (17/08/2018). “This number indicates that Unimus is trying to improve the quality of Human Resources included increasing the HKI (copyrights and patents” elaborated the Rector. Head of Intellectual Property Research Institute and Community Service (LPPM) of Unimus, Dr. Siti Aminah, M.Si. explained that HKI is part of lecturer and students mastery in knowledge to encourage young lecturers to conduct research. “Research product such as article in both national and international journal and books with International Standar Book Number (ISBN) will definitely create copyrights. 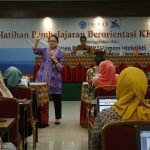 Unimus really appreciate lecturers and encourage them to maintain and develop the acquisition of copyrights and patents,” Dr. Siti Aminah said. 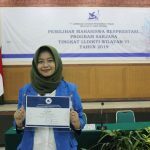 Among those 16 lecturers from various study programs in Unimus receiving HKI 2018 are Trixie Salawati, S.Sos, M.Kes (Public Health) for her amazing ASETARO “Aku Sehat Tanpa Asap Rokok”; Dr. Dodi Mulyadi, M.Pd and Testiana Deni Wijayanti, M.Pd (English Education) for their outstanding Interactive CD entitled “Colloquial English for Beginners” and English Manual Book for Homestay Owners; Achmad Solichan, ST, M.Kom and Luqman Assaffat, MT, M.Kom (Electronic Engineering) for their incredible application entitled “Aplikasi Sistem Audit Energi Listrik”; Moh. Yamin Darsyah, M.Si (Statistics) for his hilarious work entitled “Small Area Estimation untuk Pemican Tingkat Kemiskinan”; Moh. Yamin Darsyah, M.Si and Iswahyudi Joko Suprayitno, M.Pd (Mathematics Education) for their wonderful statistic catalogue book entitled “Indeks Pembangunan Manusia di Jateng dengan Pendekatan Spasial” and Dr. Stalis Norma Ethica, MSi (Medical Laboratory) for extraordinary reference book entitled “Kimia Analitik Dasar untuk Mahasiswa Analis Kesehatan” and “Bioremediasi Limbah Biomedik Cair”. After that, another awardees are: Abdul Aziz, M.Pd and Iswahyudi Joko Suprayitno, M.Pd (Mathematics Education) for their sophisticated software entitled “Software Penilaian Autentik”; Fitria Fatichatul Hidayah, M.Pd (Chemistry Education) for amazing kids book entitled “Pop Up Book Indegeneous Science Local”, Eko Yuliyanto, M.Pd and Dr. Eny Winaryati, M.Pd (Chemistry Education) for their wonderful book entitled “Pop Up Chemistry Book for Kids”; Dr Dodi Mulyadi, M.Pd and Siti Aimah, M.Pd (English Education) for their incredible Interactive CD entitled “English Interactive CD: Descriptve Text”, and finally Dwi Sulistyaningsih, MPd, Venissa Dian Mawarsari, M.Pd (Mathematics Education) and Dr. Purnomo, M.Eng (Machine Engineering) for their outstanding learning media entitled “Media Pembelajaran Interaktif: Media Pembelajaran Matematika Kelas XII SMA Materi Dimensi Tiga”. 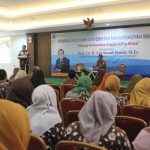 Further, Dr. Siti Aminah, M.Si. 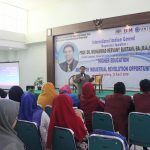 explained that Unimus has already formed Scientific Work Center (Sentra KI) under the Research Institute and Community Service since 2016 in order to facilitate researchers to get copyrights, brand, patent, and so forth. Many lecturers nowadays register their product such as books, learning media and patent to get appropriate copyrights. “HKI Unimus keeps making great progress in line with the research downstream & commercialisation and building relationship with several industries in getting copyrights and patents. Today, there are at least 5 products awaiting for substantive examination and simple patent is in progress.